My friend Andi Herman and her hubby are developing a website that allows you to generate pixelated quilt patterns from digital images, how totally cool is that! The site isn't ready to launch yet but they have a pre-launch page up and 'live' that shows you what the site will be like and gathers registrations of interest. Anyone who registers gets a free Marilyn Monroe quilt pattern. It's at www.youpatch.com go and check it out! As you can imagine, I meet a lot of quilters. 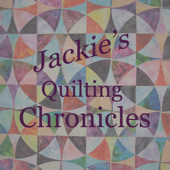 I often get asked which quilter I haven't met, who I would most like to meet and take a class with? Easy, the same ever since I first started quilting, top of my list. That would be these two. Freddy Moran and Gwen Marston. I tend to not really geek out over meeting people but when Erica told me Gwen was coming to New Zealand for Symposium my first thought was my airfares, and my second thought was - I'll bring the mountain to Mohammed! 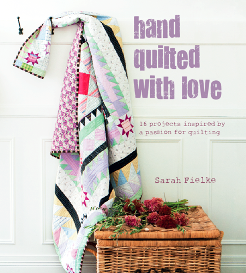 and she's giving a lecture in North Sydney on the night of July 11, details from CQW or Quiltsmith. Bookings are through the individual shops not through me. Gwen will be teaching from her new books, 37 Sketches and Liberated Medallions, depending on which shop you are at. Oh my poor old blog. You seem to really be getting the short end of the stick lately. I think my New Year's Resolution has to be to pay more attention to you. PLUS I so totally owe you all a winner of my giveaway! Yay for winners, please send me your addresses ladies so I can get your swag off to you. And stay tuned over the next weeks and months because there will be fabric announcements, giveaways of my new fabric range AND of my new book coming in the lead up to Christmas, and in the New Year. Leaving you to go and write my guest posts on Quilt Market for True Up - I will make sure and let you know when they're up so you can go and see what Amy and I found over there. Meantime there is awesome stuff to see about the new ranges being released soon on Kim's blog so go and have a look. There are some real cuties so make sure to check by and see them. So I bet you've been wondering what that beautiful quilt is above... it's one of the quilts I loved from Houston, it's a Japanese quilt made by Keiki Ohno, called A Temptation of Stripes. She used what she calls a "felt sheet with many holes" for the overlay, pieced her "stripes" together and then machined around the holes to quilt the layers together. I love the effect. I promise by the end of this week to have blogged about the other quilts I saw that I enjoyed at Market, there are a lot! Last peek for today is from my friend Dan Rouse, this is his quilt Ripple which was hanging in the Moder Quilt Guild's section of the show. Dan always amazes me with the different way his eye sees a quilt, if you don't read his blog you should. Perhaps it's because he's a garden designer that he looks at fabric with a different eye. This is his take on a Drunkard's Path block. 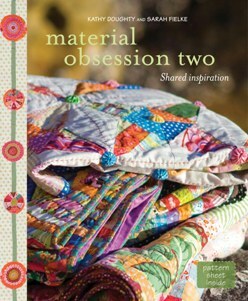 It's that time again... don't forget to go and check out Emily Cier's BOM for Aurifil! The Flickr group is humming along, there are heaps of awesome blocks to see, and it's not to late to join in the fun. Don't forget if you make a block to post it to the Flickr page and you could win some awesome Aurifil threads! And don't forget if you make MY block from the BOM that I would LOVE to see it - send me a pic and I will post it to my blog and share it with the world. It's Melbourne Cup Day here in AUS, it's a horse race that's kind of like the Superbowl - everyone here has lunches and parties and the whole nation stops to watch at 3pm. I'm not at a lunch this year so instead I'm sitting on the couch with a pile of work and I put my bets in online! Have you heard of the iSew Academy? It's the brand new iPad and iPhone app (you download it from the App Store) where you can download video tutorials on sewing and quilting. And you can print the patterns out to make projects at home. The app is only new but already they have some free of fantastic free tutorials and sew-alongs going on so you can try the app out, as well of loads of classes you can take. The app is set up like an English private school - think Hogwarts but with sewing magic :) They have prefects and Houses and House Captains - and the exciting news is that I am going to be their Quilting Captain! What does that mean? Well soon you'll be able to download a whole bunch of video classes with me right onto your iPad. Look out sewing rooms, here I come! So if you'll be at Houston for Quilt Market, head on over to stand 1569 to see the Head Girls, Louise and Belinda and the rest of the team. I'll be there wearing my school blazer (!!) 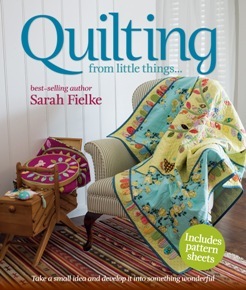 at 11.30 every day to say howdy - we will be doing a book signing on Saturday and Sunday as well as a giveaway of a copy of Quilting From Little Things and a St Ives Fat Quarter pack on Sunday. If you're not going to Houston, check out the girls at iSew Academy at their blog, on Facebook or on Twitter. YES! It's Aurifil Block of the Month time and this month the gorgeous block is provided by the Lovely Mrs. PorkChop, aka Amanda Woodward-Jennings! Amanda is the co-owner of the Frosted Pumpkin Stitchery Her block is too freakin' cute, hop over and download it right now. 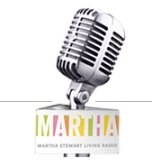 Don't forget to check out Amanda's blog and say howdy, she is a sweetie pie and if you haven't visited her blog before you will enjoy the experience. There are loads more, make sure you go and have a look. I love all the personal touches everyone has been adding to their blocks. There are quite a few pics where people have finished all 9 months and put them together - they look so great! And don't forget that if you make a block and post it to the Flickr site, you go into the running to win fantastic prizes every month. So - Laura and Katy are going on a road trip around the US - they're visiting Arizona, Utah and Nevada. The idea is that they will sew as they go and blog about the projects they stitch, inspired by the amazing sceney and colours of the midwest. They've invited some others to play along with a pic of somewhere they've been to recently, and an EPP project inspired by the colours of the photo! So of course the first thing I thought of was my trip to Africa. 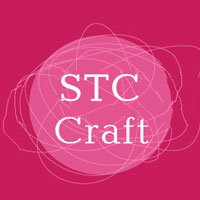 Which gave me this palette, which I made using the palette builder tool at Play Craft. Which I love! But then I decided that was really cheating a bit and I should have a proper African palette. So I used this pic instead, which is one of my favourites from the trip. We drove up over a hill, and the sun was going down - and suddenly all these giraffes popped their heads up all ot once. They looked so funny. Much more an accurate representation of Africa, don't you think? I wanted to get something slightly tribal and organic looking, as well as some texture, some spots for the giraffes. I'm quite pleased with what's I've got picked out. 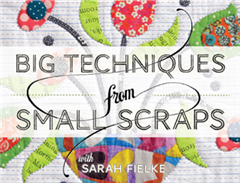 Join in with the blog hop and sew along - there are some amazing prizes and offers to be had along the way from sponsors including Pink Castle Fabrics, Paper Pieces (they are offering a coupon code for 20% off using PAPER20 on checkout) and Aurifil Check out the details now and join in!!! Hi everybody! If you've been following along with Jackie's Bloggers Block of the Month, you will know that this is the last block! And if you haven't - hurry and catch up, there are some lovely blocks in the series and Jackie has been collecting them up all year. The next post will be by Jackie, telling you all how to put them together. OK! On to my block, a star in a star. Stars of any kind are my all time favourite patchwork block, so when Jackie asked me to play along in the BOM, they were the first thing I thought of! To make my block you will need 4 contrasting fabrics. From the yellow (centre square) fabric, cut one square 2 1/2"
* four squares, 1 1/2"
* four squares, 2 1/2"
Sew each of the small half square purple triangles to a small half square background triangle. and each of the large half square purple triangles to a large half square background triangle along the diagonal edge. Press the seams towards the purple fabrics. Trim the "ears" off the triangles. This might seem like a small step, but it will make your triangles go together so much more neatly! Make four like this. Press the centre ceam to one side. Sew two of the star points to either side of the yellow centre square. Press the seams toward the centre square. Sew a background 1 1/2" square to either end of the remaining two star points. Press the seams towards the purple fabric. Sew these two star point units to the top and bottom of the centre square, taking care to match the corners of the squares. Press the seams towards the centre square. Repeat this process with the 2 7/8" triangle star points and sew them to the smaller star as above, treating the small star as the centre block. Make sure and check out the flickr group so you can see all the amazing blocks people have been making, they sure have been busy. If you haven't been following the BOM, here are all the links so you can go and check out what the other wonderous designers have been up to. July - Victoria Findlay Wolfe – Bumble Beans Inc.
Do you have sons? Or grandsons? Or special little (or big!) boys in your life? As a quilt designer, one of the comments I hear so often from people is how few patterns there are that are good for boys. 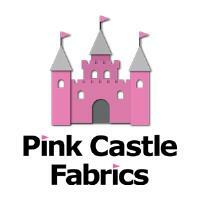 I suppose there are so many pretty fabrics out there, we designers get distracted making pretty things! I have two boys so I always try and have good boys patterns, but they're mixed in with the others. Here is a book that is especially for the boys in your life! And the tomboys of course :) My friend Angela Yosten -you might know her as the Moda Home Mom - is the clever clogs behind this fantastic book, and it really is a good one. I think I even have some teenage boys around here who would think that no parking quilt was pretty cool. There are 12 projects in the book, all centered around the theme of traffic signs. I love this One Way sign, imagine how cute that would be in the hallway of your house? One way, Fielke boys - all the way down the hall to your homework. Ange has even thought of the Aussies and put one of our common road signs in! You want to be careful of those little buggers, they can put a serious dent in your bumper bar - and walk away afterwards! 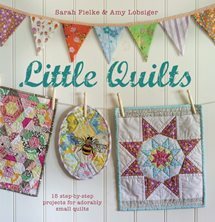 If you want to know where to buy Ange's fantastic book, it is the Book of the Month at the Fat Quarter Shop this month, and I'm sure available from your local quilt shop too! Or you can try your luck here and win a copy. Just leave me a comment and tell me the name of your street (don't worry I don't need numbers or suburbs or even countries! Just the stree name) and you will be in the draw to win. 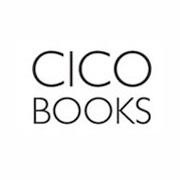 Winners in the USA will win a physical copy of the book and if the winner is from overseas you will be sent an eBook via email. PLEASE make sure you leave an email for me to contact you or I will immediately draw another winner. Make sure and check out everyone else on the blog tour too! Thanks for having me Angela! Day 12 (Friday, August 17): ALL Giveaways end at midnight. Day 15 (Monday, August 20): Winners will be announced on each blog. 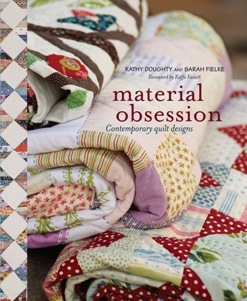 Terri at From Here to Quilternity! Well done Terri - please contact me asap with your details so we can get your prize out to you. Meanwhile, since you're here already, why not click right here and find out all about the Bloggers BOM? If you don't already know, Jackie at Canton Village Quiltworks picked a bunch of fantastic designers (including me - thanks Jackie!) and sent us all out some Kaffe fabrics to play with. We all created a block using them and you can follow along the trail each month and make a fantastic BOM quilt with us - for free! You don't have to use the same fabrics or even the same setting pattern if you don't want to, you just get 12 excellent blocks from 12 designers all for you. It's a jewel box and you can get the instructions to make it at her blog. This month's block is by Pam Kitty Morning... can't wait to see what she gets up to! Should be up soon... while you're waiting why don't you check out the Flickr pool and see what others have been making with the block instructions so far. July - Victoria Findlay Wolfe - Bumble Beans Inc.